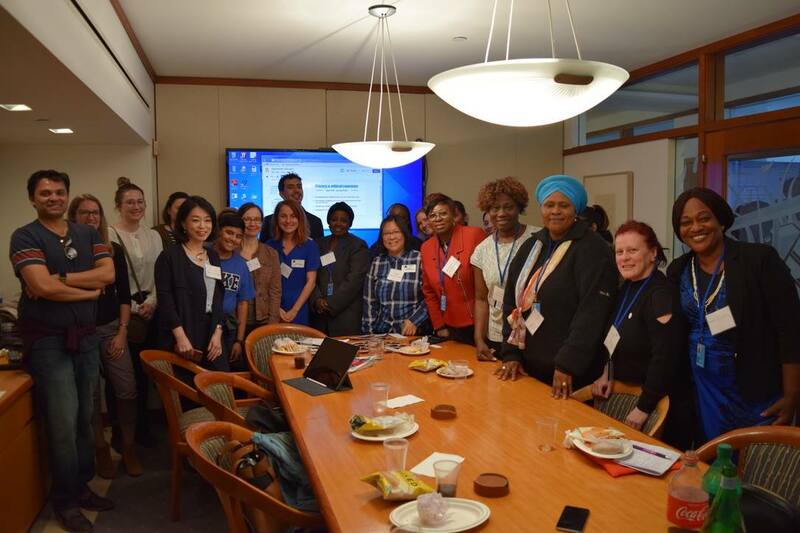 *Photo Caption: Human Rights Advocates Program (HRAP) alumnae Elina Horo of India (2015 HRAP), Marayah Fyneah of Liberia (2012 HRAP), Sandra Creamer of Australia (2015 HRAP), and Mary Akrami of Afghanistan (2009 HRAP) participated in the 63rd session of the Commission on the Status of Women. Akrami participated in a side event organized by the Irish Mission to the UN and Peace is Loud during which the film Women, Peace and Power was shown for the first time. It follows the stories of women activists, politicians, and citizens in Northern Ireland, Afghanistan and Liberia. Akrami is the Executive Director of the Afghan Women SkillsDevelopment Center (AWSDC), which focuses on the needs of Afghan women, including widows and the disabled or chronically ill, and orphan children. In 2003, AWSDC established the first known shelter for women at risk in Afghanistan.